With spring training right around the corner, the San Francisco Giants have released their list of non-roster invitees. In honor of them doing so, we at Around the Foghorn will be highlighting each position grouping and looking at who has a shot to crack the 25 man roster this upcoming season. 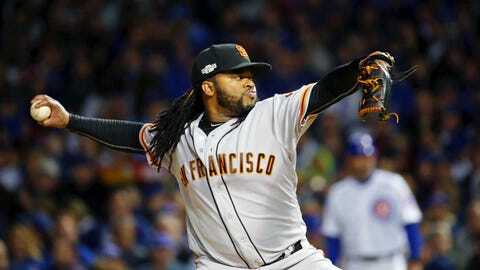 In particular I will be focusing on previewing the starting pitching for the upcoming season. The San Francisco Giants will have their fair share of starting pitchers in camp this bring, ranging from those on the 40-man roster to two non-roster invitees. Starting pitching was one of the strong suits for the San Francisco Giants last season. The Giants relied heavily on their starting rotation, which saw three arms throw over 200 innings, and another come very close to crossing that threshold with throwing 198.1. With that being said, the only spot in the rotation that will be up for grabs is the fifth starter spot. Realistically, only a few players have a shot at winning that roster spot, and the majority of the young arms in spring training will only be there for experience. Despite this, the season is extremely long and some of these players could find themselves on the roster somewhere down the line. Continue to find out who ranks where on the list, the answers may surprise you. Like I mentioned earlier, the San Francisco Giants are pretty much set with their starting pitching and will head into spring training knowing exactly who the one through four starters will be. The first incumbent on the roster is the ace of the staff, Madison Bumgarner. 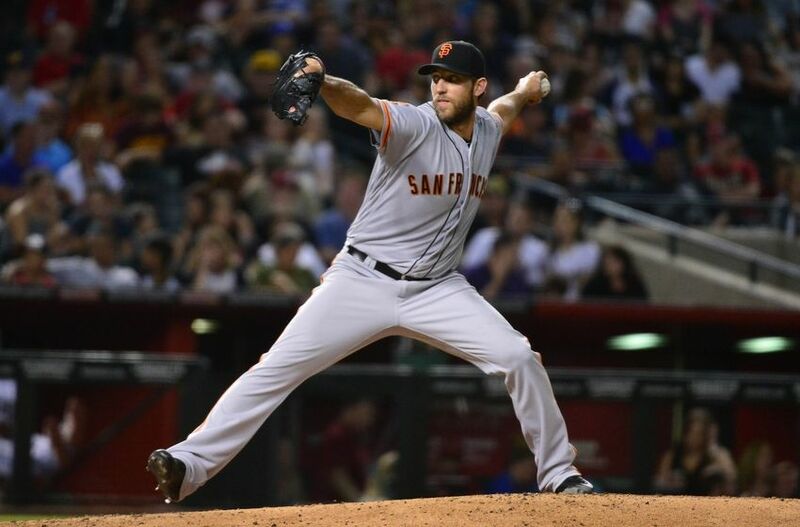 Entering his ninth year as a pro, Bumgarner is coming off of his best season yet going 15-9 with a 2.74 ERA, and posted career highs in innings pitched with 226.2 and strikeouts with 251. He is also coming off of his fourth consecutive all-star appearance, and finished fourth in Cy Young Award voting. For his career the Giants work horse has gone 100-67 with a 2.99 ERA, while striking out 1,381 batters in 1,397.2 innings pitched, and holding batters to a .232 BA. Known for his deceptive mechanics, which will at times include a glorious shimmy, and his majestic selfies, Cueto has become a fan favorite in San Francisco. Entering his second season as a Giant, Cueto will be looking to replicate the success he garnered last year, which was one of the best of his career. After signing a 6 year $130 million contract, including an opt-out clause after year two, with the orange and black, Cueto showed right away that he was worth every penny. After going 13-1 with a 2.47 ERA in the first half, he got the nod to start the all-star game for the National League. He then proceeded to finish the year with an 18-5 record overall, and a 2.79 ERA in 219.2 innings pitched. It will be interesting to see how Cueto will perform this season, since he has the potential to opt out of his current contract and become a free agent at the end of the year. Moore was a much needed acquisition to help strengthen the staff last season at the trade deadline. Coming from the Rays with a 7-7 record and 4.08 ERA, Moore put up consistent numbers with the Giants as well going 6-5 with a 4.08 ERA. He also pitched 198.1 innings, his most since coming off of Tommy John surgery in 2015, and pitched an absolute gem in the NLDS going 8 innings and only allowing 2 hits and 1 run. 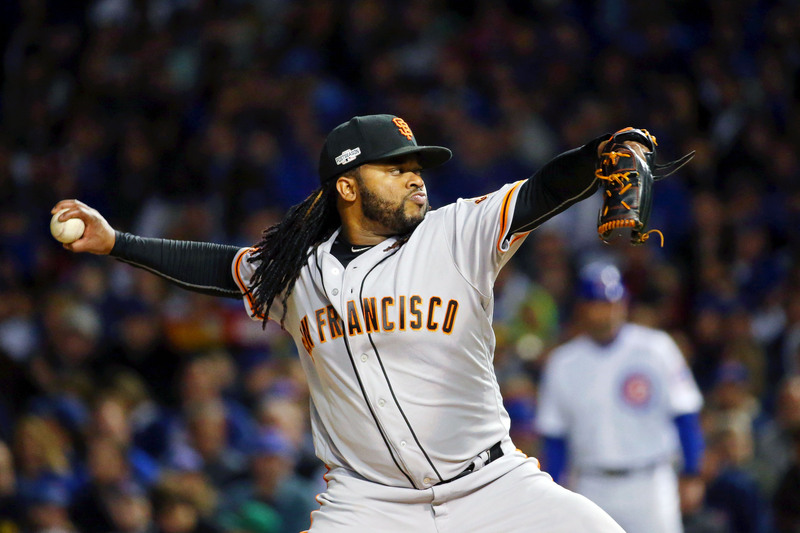 Johnny Cueto was not the only splash the Giants made last offseason. They also signed the shark, Jeff Samardzija, to a 5-year $90 million contract. He will be another lock to make the roster this upcoming season. Coming off the worst season of his career in 2015, Samarzija was able to show signs of why he was heavily recruited out of free agency. In his first season as a San Francisco Giant, Samardzija started off the year hot, and struggled mightily from June through July, before ending the season on a high note. The shark ended the year with a 12-11 record and a 3.81 ERA in 203.1 innings. He has pitched 200-plus innings each of the last four seasons and will look to do the same in 2017. Blach was a huge success for the Giants down the stretch in his rookie campaign. He amassed a 1-0 record with a 1.06 ERA in 17 innings. He made two starts in 2016, none bigger than his second start where he pitched 8 innings of shutout baseball against none other than Clayton Kershaw and the Dodgers to help send the Giants to the playoffs. The 25-year-old lefty also pitched 3.1 scoreless innings in the NLDS and is a serious contender to win the fifth spot in the rotation. Cain will be the longest tenured Giant heading into spring training, but remains a huge question mark to make the rotation. 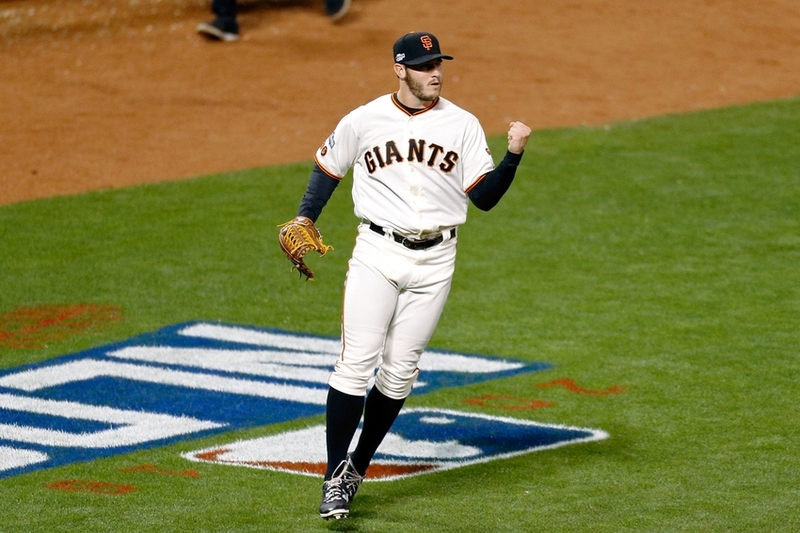 After establishing a career which has featured three World Series rings, a perfect game, and three all-star appearances, Cain has endured some injuries that have hindered him from replicating the success he had early on in his career. Cain went 4-8 with a 5.64 ERA in 17 starts last season and found himself pitching out of the bullpen at the end of the year. Cain has not had an ERA under 4 since he put up a 2.79 ERA in 2012. However, GM Bobby Evans was quoted saying that in a perfect world Matt Cain would take the spot. Indeed, it would be incredible to see Matt Cain return to his former self and win the fifth spot in the rotation, but based on the last few years I would not get my hopes up. Suarez was called up after posting a 1-2 record with a 2.88 ERA for Triple-A Sacramento to help bolster a depleted bullpen. He was called upon to be the teams long reliever and spot starter. In 22 games during his rookie season Suarez started 12 and went 3-5 with a 4.29 ERA in 84 innings. He is probably the least likely of the three to secure the fifth spot in the rotation, but his ability to pitch in relief might be enough to make the roster if he does well in the spring. The San Francisco Giants drafted Beede 14th overall in the 2014 draft and he has quickly ascended into the Giants number two prospect and 88th in all of baseball. The 23-year-old right hander throws a mid-90’s fastball, complimented by a low-80’s curveball and changeup. 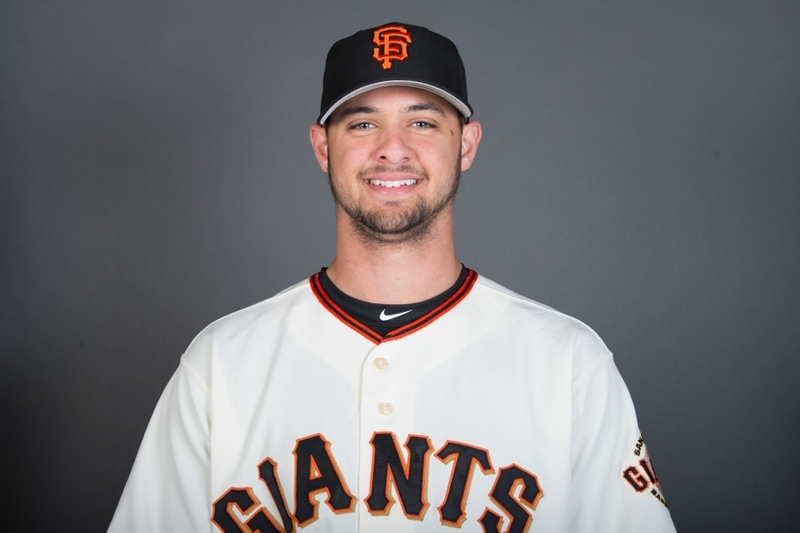 Beede was called up to Double-A Richmond for the first time in 2015 after going 2-2 with a 2.24 ERA in San Jose, but it was not the promotion he nor the Giants envisioned. He proceeded to go 3-8 with a 5.23 ERA and his fastball velocity dipped into the high-80’s/low-90’s. Beede regained his velocity in 2016, and in his first full year in Double-A he posted much better numbers. He went 8-7 with a 2.81 ERA in 147.1 innings. If anyone from this list has a chance to crack the roster it’s Beede, but given that there are veterans with more experience and the fact he has not even pitched in Triple-A, this scenario is highly unlikely. He still could see himself on the roster at some point this season if someone goes down with an injury, or for September call ups. Blackburn was drafted by the Giants out of high school in 2011 and was viewed as one of the team’s top pitching prospects. He was rated as high as the 95th ranked prospect in the MLB prior to the 2013 season, but has since decreased in value. After going 10-4 with a 2.85 ERA in Triple-A in 2015, Blackburn struggled in 2016. Last season in Sacramento the 23-year-old righty went 7-10 with a 4.36 ERA in 136.1 innings. For his career, Blackburn has gone 40-31 with a 3.24 ERA in the minors and even got called up to the major league roster in May 2016, but did not make any appearances. Look for Blackburn to repeat some of his earlier success this spring. Coonrod was drafted by the Giants in 2014 and was a non-roster invitee to spring training in 2016, before ultimately being sent to High-A San Jose. Heading into 2017, he is the Giants fifth ranked prospect. Coonrod, who throws a low-to-mid 90’s fastball, a slider, and a changeup, had great success in San Jose in 2016. After going 5-3 with a 1.98 ERA, he was called up to Double-A Richmond where he went 4-3 with a 3.03 ERA. The main concern with Coonrod is his erratic tendencies. In his first two minor league seasons he had a BB/9 rate of 2 and 2.7 respectively, and in 2016 he increased that to 3.1 in High-A, and 4.4 in Richmond. I anticipate Coonrod will spend the year in Triple-A Sacramento where he can work comfortably improving his control. Gregorio was signed by the Giants as an 18-year-old in 2010 and has become their seventh ranked prospect. In 2016 he started the year in Double-A Richmond going 0-2 with a 2.33 ERA in five starts before being promoted to Triple-A Sacramento. He was nowhere near as successful in his first taste of Triple-A going 6-8 with a 5.28 ERA in 21 starts. Gregorio is an astounding 6-foot-7, making him one of the tallest pitchers in the organization. He is a right-hander and throws a mid 90’s fastball, mid 80’s slider, which is his preferred off-speed pitch, and a changeup. He also had a K/9 rate of 10.2 in 2016. For his career, Gregorio is 35-34 with a 4.00 ERA. He will most likely end up in Triple-A Sacramento this season. 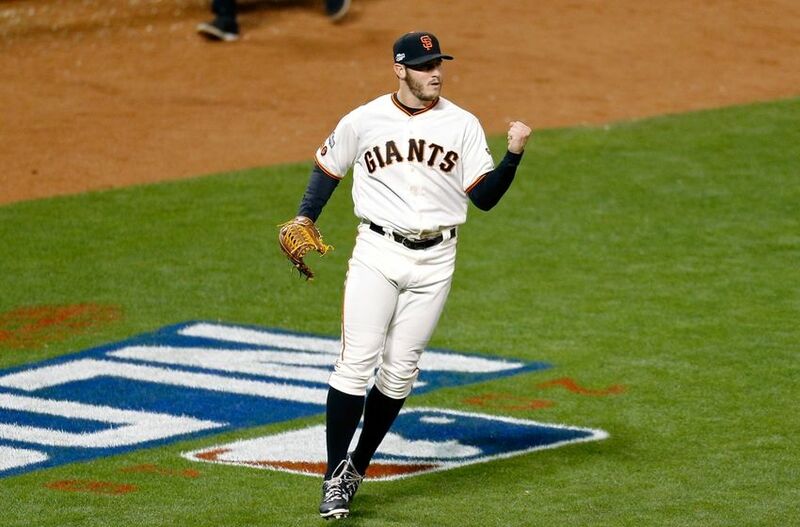 Stratton is a 26-year-old right hander drafted by the Giants in 2012. He has put together a pretty solid minor league career thus far. In 2016 he went 12-6 with a 3.87 ERA in Sacramento and was even promoted to the major league roster in May as a reliever when Matt Cain went down with an injury. In seven relief appearances Stratton went 1-0 with a 3.60 ERA before being sent back down to Sacramento in June for the remainder of the year. Despite exclusively pitching as a reliever, the Giants will continue to look at Stratton as a starter for the future. He throws a low 90’s fastball, slider, curveball, and changeup, and will more than likely pitch in Sacramento in 2017. Given his prior success, Stratton could find himself in the major’s at some point this year. Not to be confused with Albert Suarez, Andrew was drafted by the Giants in the second round of the 2015 draft. He is left-handed and is currently the eighth ranked prospect in the organization. He has been widely successful in his minor league career so far, posting a record of 11-8 and a 3.84 ERA in two seasons. In 2016 he was promoted to Double-A Richmond after going 2-1 with a 2.43 ERA in High-A San Jose. In Richmond, Suarez went 7-7 with a 3.95 ERA in 19 starts, and had a K/9 of 7.1. He throws a low 90’s fastball, a slider, curveball, and a changeup, and has excellent control of all four pitches. Suarez has ascended through the minors rapidly and could find himself in the majors in the next year or so if he continues to progress. The San Francisco Giants pitchers and catchers report to Scottsdale, Ariz. February 13 and begin workouts February 14th.